Many drop shipping courses pop up every year and only the best ones stand the test of time. I have reviewed quite a few dropshipping courses and have compiled a list of the ones that I found to be best. In the list below you will find the courses. They all are linked to my review so you can get an in-depth look into each course. I’ll also discuss the creator of each course and will go into other details that I trust you will find valuable. You’ll notice a vast price difference between some of these courses but keep in mind that does not mean the pricier the better. See for yourself what I have to say about these courses. By far, Franklin Hatchett’s eCom Elites is the best course (especially for the money) for 2019. eCom Elites has so much content and with over 170 videos you can be assured that every aspect of getting your dropshipping business going is included. I believe this course should be priced much higher than the $197 price tag and especially for the eCom Elites Ultimate at $297 (which is new including Google Ads training) as it competes with higher priced courses. On top of that, you even get a money back guarantee if you are not satisfied. Accompanied with a Facebook group for support and ongoing updated content, it’s the hands down winner. If you have an ecom store already or at least know how to set it up properly without needing a course to walk you through all that stuff, PWB could be for you. 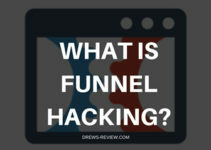 Tristan Broughton created this course and it's core focus is finding that winning product to scale and cash in from. It's a great course with some new methods I have seen and really drills down product finding and converting. 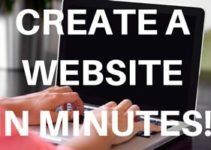 He has also created his new Google Ads eCom Academy that you can bundle with Product Winner Blueprint for $497 or buy separately at $397. It's a no brainer to get the bundle package if you are serious about scaling your store. If you’re a fan of Kevin David and like his teaching style, then you’ll get a lot out of this course. However, it’s a bit pricey so if that turn you off then you might want to choose another. The course has five modules which include just over 65 videos in total. Included is training that is live weekly and a Facebook mastermind group. Read my full review for more. Adrian Morrison is a big name in the eCom world. He has mad millions in dropshipping and has proof to back it up. Ecom Success Academy or ESA for short, is packed with value and is laid out very nicely. I purchased this course myself 2 years ago and have a full review on it as well so do check it out. It’s pricey at $2495 so unless you’ve got the money to spend, you should probably stick with my preferred option. A course by Arie Scherson, it’s relatively new in 2018. You may know Arie from his extensive videos on Youtube. His channel alone provides a lot of good information to help you get started but his course goes into much more detail. It’s priced higher than my favorite course, but at $397 USD it’s not a bad price point. Take a look at my full review for more info on Arie’s course. eCom Masters by Joaquin Corrales has a unique spin to many of the courses out there. It features Franklin Hatchett and his popular ecom Turbo theme. A joint venture from the two, the course is expensive at $1997 but if 1-2-1 coaching is important to you, then it might be worth the investment. Check out my full review below. I'll be adding more recommendations as I see fit. As you can see I don't include all the courses I review on my blog here, as not all of them qualify as a good investment in my opinion. If you are looking to buy an ecom course, you are free to take my advice or go elsewhere and look. At the end of the day it's your money that you are spending. If you would ask me which course would be best, it's clear that eCom Elites is the clear winner as it's a complete course for beginners or advanced/intermediate drop shippers. 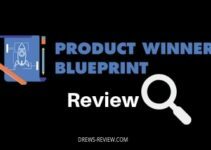 Product Winner Blueprint is a great course for those with an existing store that want to focus on just that - finding a winning product.